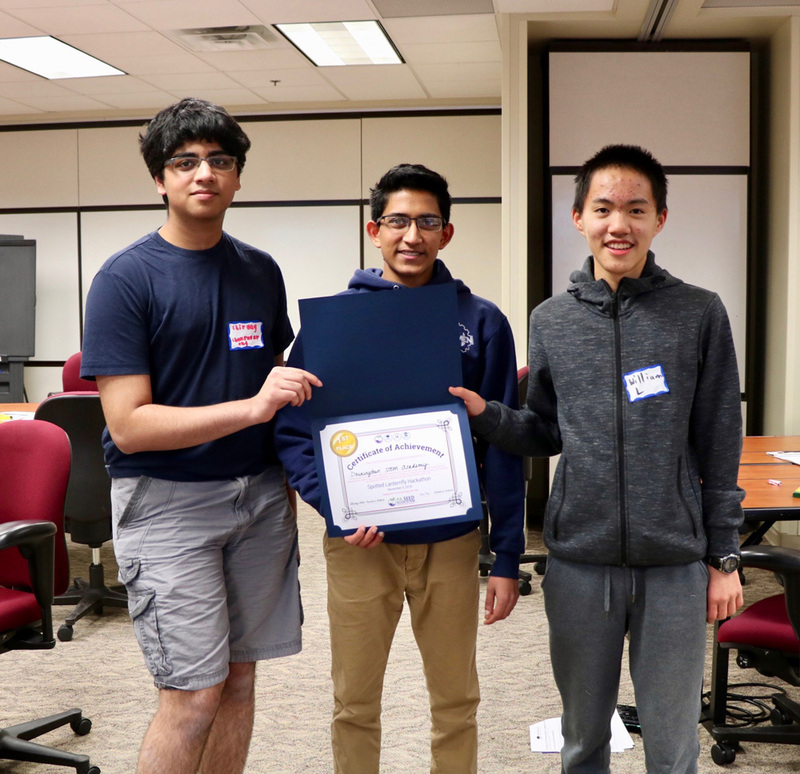 1st place winners Chriaag Chakravarthy, Udit Subramanya and William Liao of Downingtown STEM Academy. 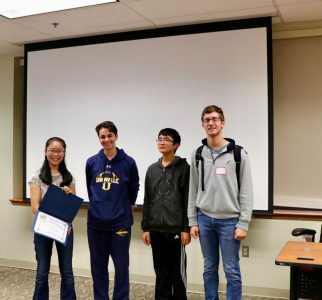 DOWNINGTOWN – This November, intermediate units in Bucks, Chester, Delaware, and Montgomery counties collaborated to hold the first Spotted Lanternfly Hackathon, inviting high school students to design unique platforms or applications capable of identifying, detecting and tracking the spotted lanternfly. The spotted lanternfly is an invasive species native to Vietnam, China and India that was discovered in Berks County, PA, in 2014 and has since spread to nearby counties in Pennsylvania. Without careful monitoring, quarantine procedures and disposal efforts, these insects have the potential to significantly harm Pennsylvania’s agricultural industries. Now, thanks to southeastern Pennsylvania students, there might just be an app for that. The Chester County Intermediate Unit (CCIU) hosted eight teams from Avon Grove, Downingtown, Owen J. Roberts and Unionville-Chadds Ford School Districts. Through video conferencing, students at each of the regional competitions simultaneously learned about the detrimental effects that an invasive species can have on foreign environments and the work currently being done by the Pennsylvania Department of Agriculture (PDA) to prevent the spread of the insect. “The regional competitions and the Hackathon were created to teach our students about real-world issues and empower them to be part of the solution right now,” said Dr. Demetrius Roberts, director of STEM and Educational Technology Services at the CCIU, as well as an executive team member of the PA SEED Ecosystem. “We want to hear students’ ideas and see them using their skills to solve local problems before they even graduate from high school. We know how much they are capable of, and this competition gives them a platform to demonstrate their creativity,” he added. Although all of the teams were presented with the same objective, each team approached the design and building of the app differently. Some teams focused on acting as a resource for information on the spotted lanternfly, some chose to highlight beneficial connections between field experts and future users encountering the insect and some were inspired to transform the detection and tracking of the spotted lanternfly into a game to encourage users to download the app. “We were so impressed by all of the students’ presentations and talent, and we’re thrilled to have had the opportunity to participate in such a unique and important project,” said competition judges Becca Manning and Rachel Schnaitman of Longwood Gardens’ education department. 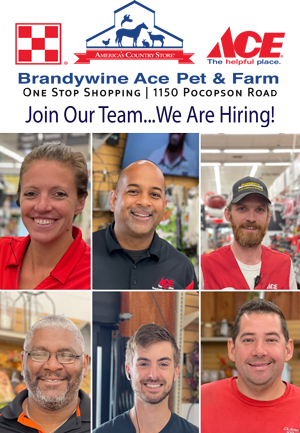 “I hope these students continue to pursue what they’ve created today, because I think they have the energy and passion to really help tackle the spotted lanternfly problem or any other issues they encounter,” added Schnaitman. After listening to the presentations, the CCIU’s competition judges then scored the applications and awarded first, second and third place honors. Students Chriaag Chakravarthy, William Liao and Udit Subramanya of Downingtown STEM Academy were awarded first place. Unionville High School students Brian Dym, Erik Chou, Francille Zhuang and Will Knipe received second place. In third place, were Downingtown STEM Academy’s Joe Kottingham and Alyssa Stauffer. 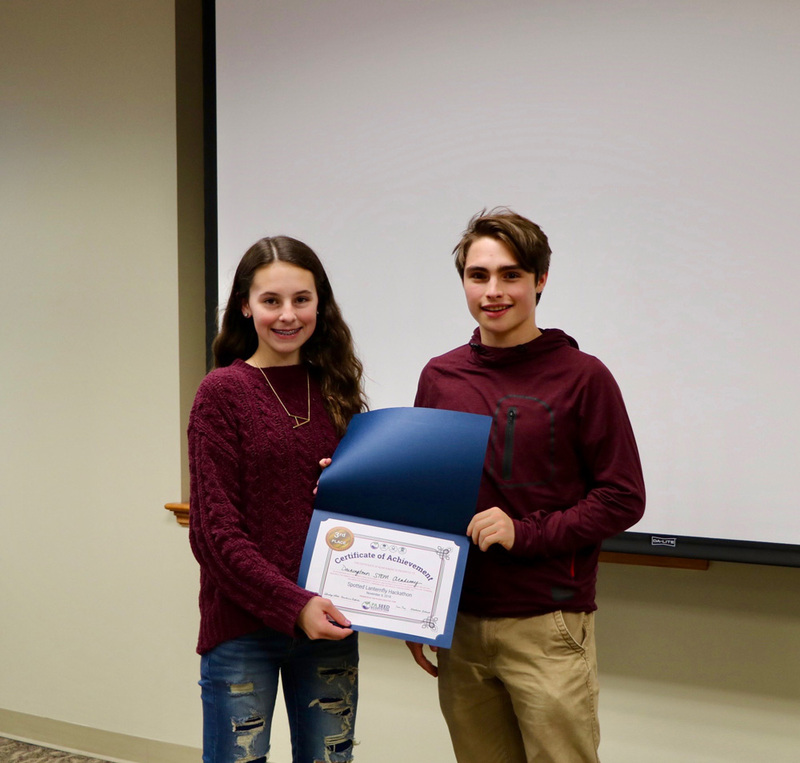 The regional competition finalists will continue to develop their apps and prepare to present them at the PA Farm Show, which will be held from January 5-12, 2019.